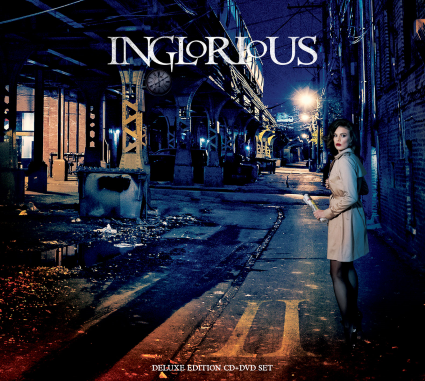 Since they released their debut record, titled I, a bit more than a year ago, I have been excited to hear the second album of English band, Inglorious. Already their debut made people talk about them. Often, I find that a band’s second album is not as good as the first one. That’s because, more often than not, it was written under time pressure and also the record label wanted to have a say in how the album sounds like. This is luckily not the case with II, Inglorious’ second album. Already the very first song, I Don’t Need Your Loving, shows what singer Nathan James and his men are capable of. And that’s 70s rock at its best with a glorious singer, who isn’t scared of hitting the high notes as well. The arrangements are catchy and the listener is easily carried away by the songs’ emotions. 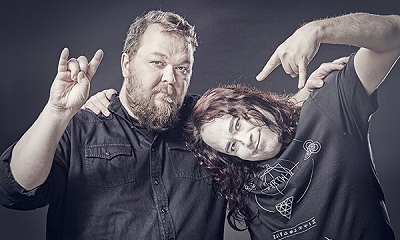 Drummer Phil Beaver, bassist Colin Parkinson, as well as the two guitarists, Will Taylor (who in the meantime was replaced by Drew Lowe) and Andreas Eriksson (the only Swede in the band), managed to generate an awesome groove on the record. Together with the impressive and versatile voice of Nathan James this made for an interesting and multi-faceted album. I can only confirm that they are able to bring this package to live stages one-to-one. That’s because they recorded the album like the first album, live in the studio without any technical gimmicks. This surely is another brilliant performance from Inglorious, who will become one of the big stars of the scene very soon. So, better enjoy them now, still in a rather private atmosphere.